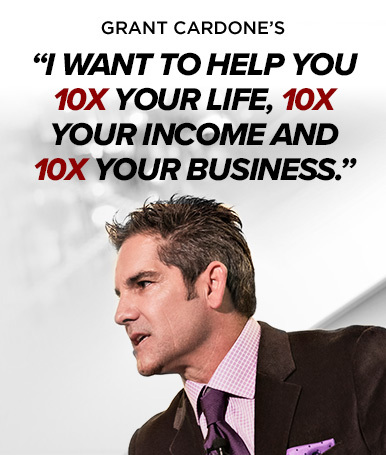 Once you start taking massive 10X-type actions, what’s next? When do you get to take a break? NEVER. Don’t rest. Don’t stop. Don’t do “just enough.” It’s not about building a small fire to keep warm – add wood to your fire until you burn the place down. Once you think you’ve reached your limit, keep pushing. Keep taking those massive actions because once you start operating like this, it’ll become almost second nature to continue because you’ll be succeeding! It’s easy to continue to take massive actions when you’re succeeding and succeeding is only possibly when you take massive actions. Vacations. Celebrations. Those will come. Success demands continuous attention. It’s like a beautiful lawn or garden, no matter how green it gets or beautiful the flowers, you must continue to tend it. You have to put in the work – mowing, edging, trimming, watering, planting – in order for it to stay beautiful. Just like the garden, if you don’t take care of it and put in the effort, it’ll fade and deteriorate until it ceases to exist. It’s easier to expand a garden than it is to grow it from scratch. Remember, the best way to quit worrying about competition and uncertainty is to build a fire so large and so hot that everyone in the world – even your competition – comes to sit by your fire for warmth. Commitment. Focus. Action. Success.